Dedicated Enterra Team is a group of Enterra software specialists exclusively selected to fit your unique IT and business requirements in our Offshore Development Center. Hiring Dedicated Enterra Team you get a full access to the skills you need, you get a direct control over the offshore human and technical resources working solely for your business. You interact with the members of your Dedicated Enterra Team just as you do with in-house staff. Your Dedicated Enterra Team work is transparent to you at every step. All offshore technical infrastructure and communication facilities are at your disposal for an extended period of time. 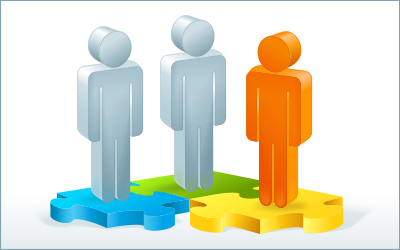 You get exact match of your needs and hired Dedicated Enterra Team skills. You escape from the expensive pitfalls of trying to orchestrate everything yourself. Dedicated Enterra Team doesn't work miracles but turns outsourcing disadvantages into advantages. smooth transfer of the final product to Customer.